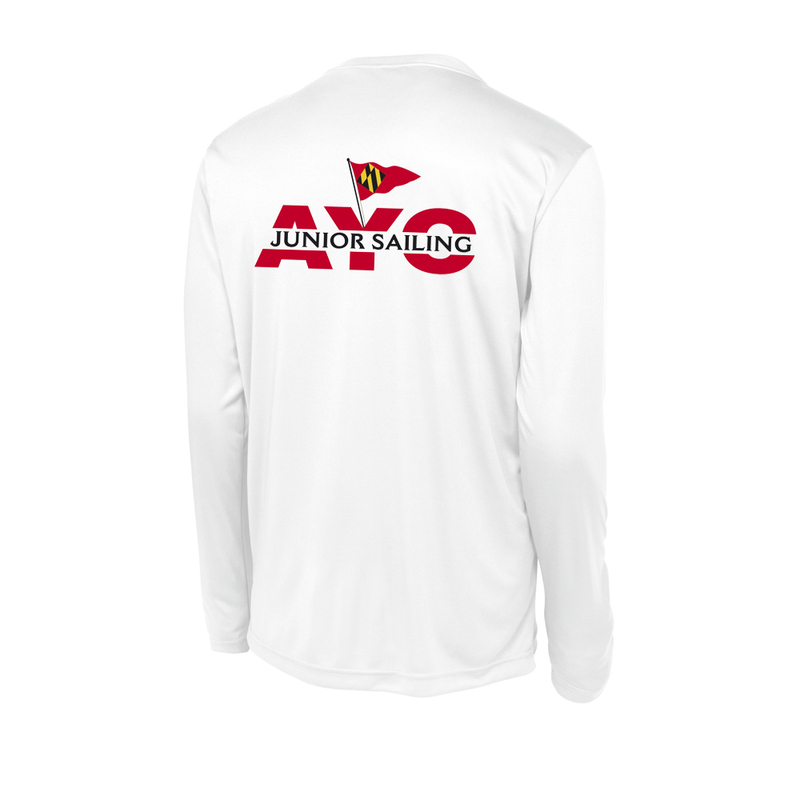 This long sleeved technical t-shirt has the Annapolis Yacht Club Junior Sailing logo sublimated on the front with a large graphic on the back. Great for a hot day on or off the water. This shirt has a normal/athletic fit.